The number of good guitarists who play rhythm as well as solo guitar is small, the number who also play banjo is even smaller. The number who do both well, is, in the UK, possibly limited to five or six persons. Tony Pitt in one of the tops. 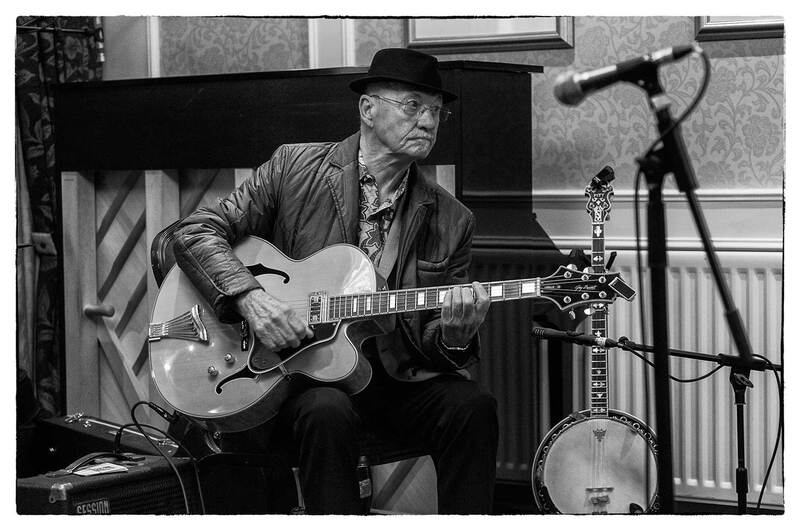 Tony has been a long serving member of at least three of England's top bands, playing for many years in Alex Welsh's Band, followed by years in Acker Bilk's Band, and then by two stints with Kenny Ball's Band. Tony is a real swinging player on both instruments and his playing knits the rhythm section together superbly. Tony has also been playing with the Alan Elsdon Band, Stan Greigs Boogie Band and the M4 Band (a band of ex Acker sidemen).